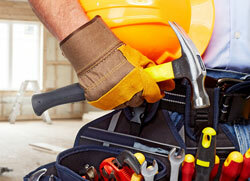 Proper work order management helps you fix maintenance issues before a small problem creates some serious damage. Your property management software gives you an easy way to receive property maintenance requests and track work orders through to completion. Tenants can report an issue through the tenant portal, and the message is delivered directly to your inbox to manage. The workorder platform allows users to assign vendors, attach photos, contact owners, and attach bids or invoices for reference and approval. How to submit & track workorders online.